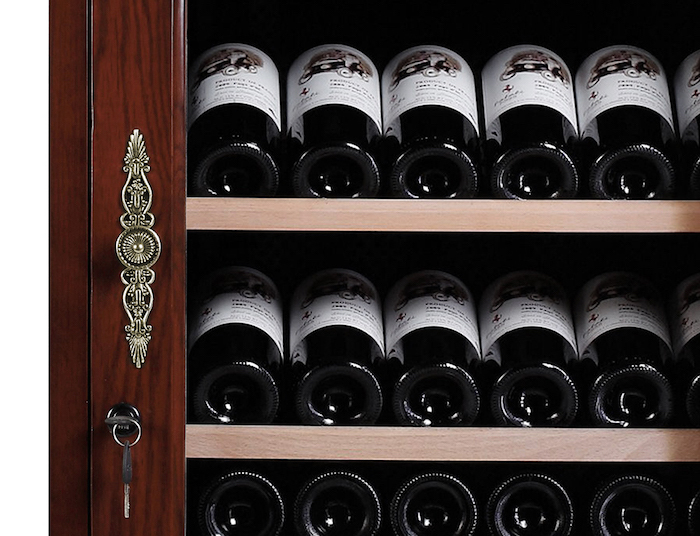 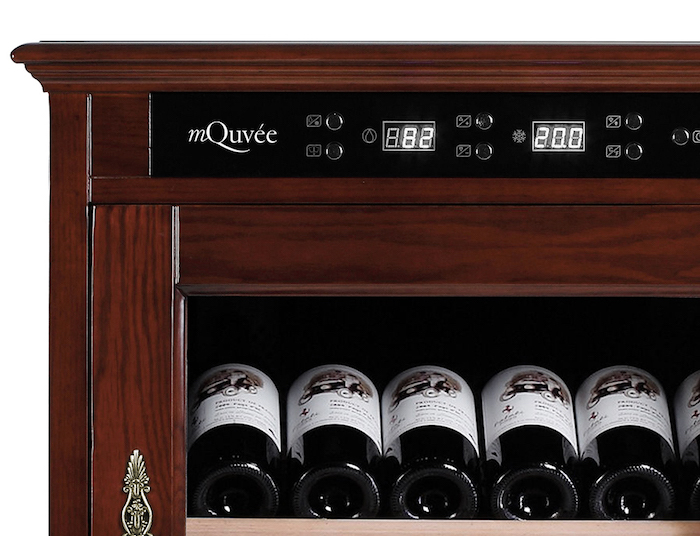 A magnificent wine cabinet in solid wood (American oak) with a lovely reddish hue from mQuvée. 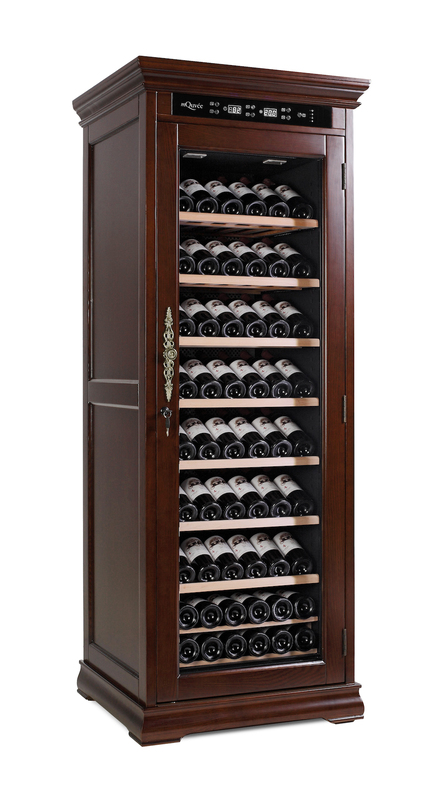 This wine cabinet provides the right climate for your favourite vintages, which rest securely on the beech wood shelves. 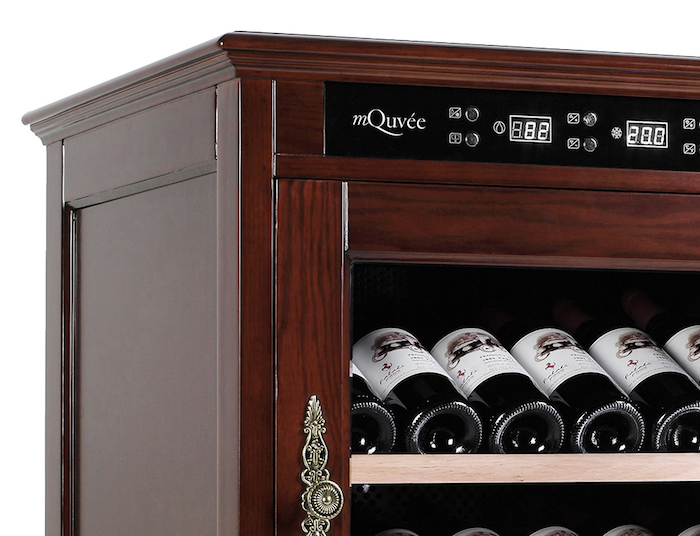 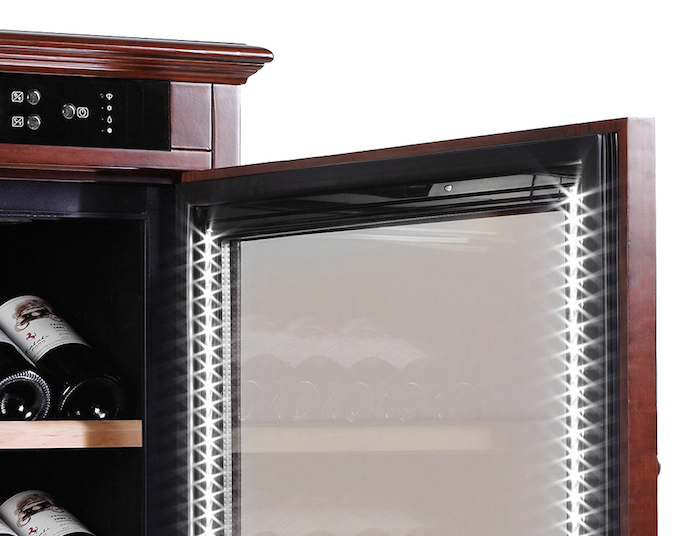 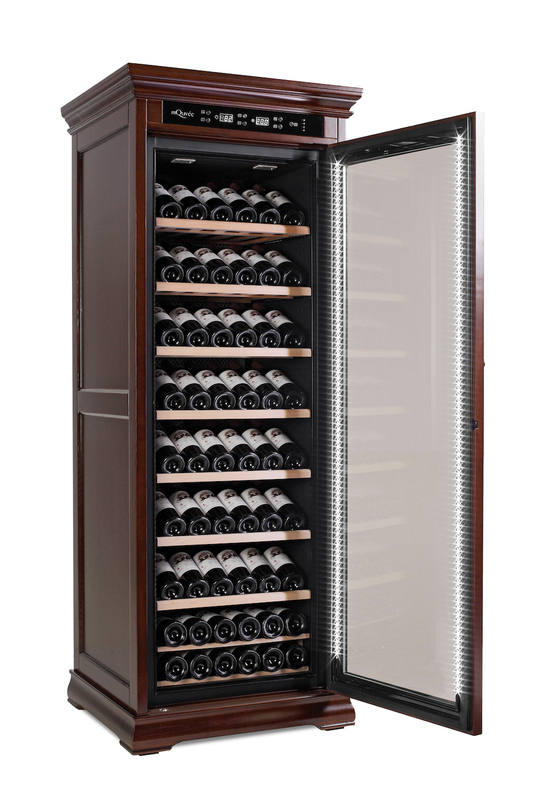 mQuvée provide all the criteria for excellent storage of your wine!